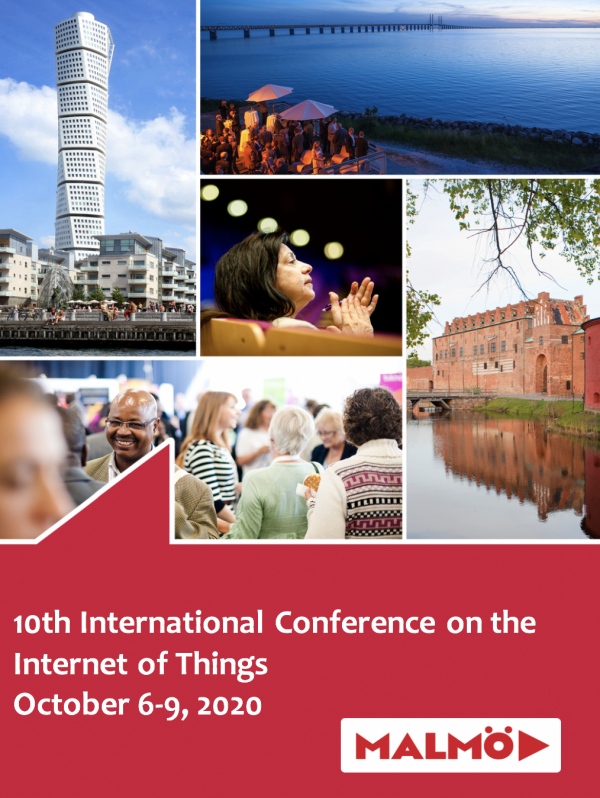 The 10th International Conference on the Internet of Things (IoT 2020) will be held in Malmö on 6–9 October 2020. Malmö University’s bid was selected by the conference’s steering committee who commented positively on the location, the local research community within IoT, and the preparation of the bid. The International Conference on the Internet of Things has become the premier gathering place for visionary, academic researchers and practitioners in the IoT domain. This conference is the premier forum to share, discuss and witness cutting edge research in all areas of development for the IoT. Approximately 150 official delegates are expected to attend. The conference will focus on application areas that address important societal challenges such as Smart Cities, Health, Transportation, and Industry 4.0. IoT is also a key area for many companies in the Malmö region. The 2019 IoT Conference is held in Bilbao, Spain, on 22–25 October 2019. The location of previous editions has been Santa Barbara (USA), Linz (Austria), Stuttgart (Germany), Seoul (South Korea), Cambridge (USA), Wuxi (China), Tokyo (Japan), and Zurich (Switzerland).